Local market experts you can trust. As dedicated real estate agents, we are qualified to guide you in buying or selling a home. We work extensively to help buyers and sellers meet their real estate goals. Enthusiasm, knowledge of the area, and personal concern for the client's interests combine to make us an outstanding resource for your real estate transaction. "They are friendly, knowledgeable and truly care about taking care of you. Choosing the wrong realtor will cost you money and chances are you will miss out on that "perfect home". 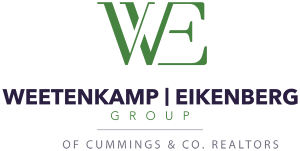 You will not be disappointed with The Weetenkamp Eikenberg Group." "Meg helped my wife and I find a beautiful home and we are so grateful to have had the opportunity to work with her." Click the featured property links below for full listing information. 2016 Cummings & Co. Top Workplace Award - given by the Baltimore Sun. I also attached the article that appeared in The Sun and the logo for this award. Our experienced team is ready to dive into achieving your real estate goals according to your specific needs. We are excited to get started!